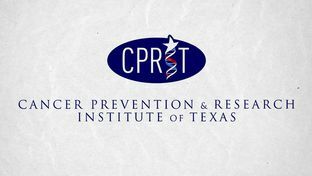 Today, Governor Rick Perry approved 25 CPRIT recruitment grants amid a continued funding freeze of the cancer research grant organization. The response from the Governor’s office comes more than two weeks after Interim CPRIT Chief Wayne Roberts’ formally requested the 25 recruitment grants — which had been caught up in the wake of Governor Perry suspending all 160 of CPRIT’s pending grants in December of 2012 — be fast-tracked for approval in spite of the continued funding freeze, citing concern that the researchers involved had made significant personal sacrifices to relocate to Texas in order to take on their new work. We will continue to work with them and all members of the Legislature to make sure they have the information they need to determine how they want CPRIT to operate going forward. We have worked hard to regain trust with our elected officials and the citizens of Texas. We take this action as evidence that some progress has been made and we will continue to work to strengthen this trust during the coming weeks and months. In spite of this development, the future of CPRIT remains unsettled, as a new set of proposed reforms released last Friday afternoon have yet to be voted on by the Texas legislature. In their letter to CPRIT, Perry, Dewhurst, and Straus all agreed that they remain “still concerned about ensuring the accountability of CPRIT before any new grants are awarded, including the complete implementation of all reforms,” suggesting that a full resolution to the CPRIT issue remains elusive at best. Adding to the delay, a public meeting announced by the CPRIT Oversight Committee originally set for March 21st to give Texas biotech representatives and Texas residents the opportunity to respond to the proposed changes was indefinitely postponed yesterday. With only a limited amount of time left in the legislative session to approve new CPRIT requirements, pressure continues to mount on lawmakers to put effective, new laws into place for CPRIT that will bring transparency and accountability to the organization while still giving it the ability to foster statewide growth and success in cancer research. Be sure to subscribe to the BioNews Texas RSS feed for CPRIT News and get it delivered as soon as new news posts!